Reciprocating saws are popular among construction workers, home remodeling professionals, DIY people, and other hobbyists, such as gardeners, landscaping professionals. If you’re planning to get your hands dirty with these saws, you should have a proper understanding of its mechanism. So, how does a reciprocating saw work? This article tells you about it! Learning how does a reciprocating saw works can save you a lot of time whenever you decide you to buy and use one safely to prevent serious accidents. If you have been thinking about buying a reciprocating saw, or you have one and know a little bit about how to use it, then this article is for you! Why Is It Called a Reciprocal/Reciprocating Saw? We can start to understand how does a reciprocating saw work by understanding its name. This saw is called “reciprocal” since its blade moves back and forth quickly thanks to the power of its motor. If you get to think about it, yes, the name explains quite easily the reciprocating saw mechanism. A reciprocating saw is made up of many parts. The blade, motor, battery, speed & control system, and lock-off switch are the most important and are the ones we are going to see to understand how such an excellent tool works briefly. The blade of the reciprocating saw is without a doubt a potent tool that can be used for many tasks. Depending on the material and the length of the blade, its use can vary. For instance, bi-metal and high-carbon blades can be used to work with wood, pipes, bolts, and rebar. If you want to cut aluminum, carbide blades are the best. You can use diamond grit blades if you are into more difficult and more significant tasks. If you are wondering about their length, reciprocating saw blades are 6 to 12 inches long. Even though thick blades are used for heavier tasks (such as demolition), they work a bit slower than thinner ones and can carry out the same functions in less time. Therefore, people prefer thin blades over thick ones. Corded reciprocating saws are the ones that count with a motor. You can find 18, 24, or even 35 volts motors, which are the most common ones. Cordless reciprocating saws, on the other hand, are the ones that count with a battery. Cordless ones are preferred among the public since they are easier and more comfortable to handle. The best ones you can find in the market are those that come with a 9 or 12 volts batteries. Even though most models of reciprocating saws come with just one speed, there are a few models that come with a complete speed & control system. This can be used depending on the material you are trying to cut, and how efficient is your blade. You might have to push or release a trigger to make the blade work as quick or slow as you want. These models that incorporate a speed & control system also include a lock-off switch, so you do not have to push or release the speed trigger while cutting. Just set the speed, and use the lock-off switch. 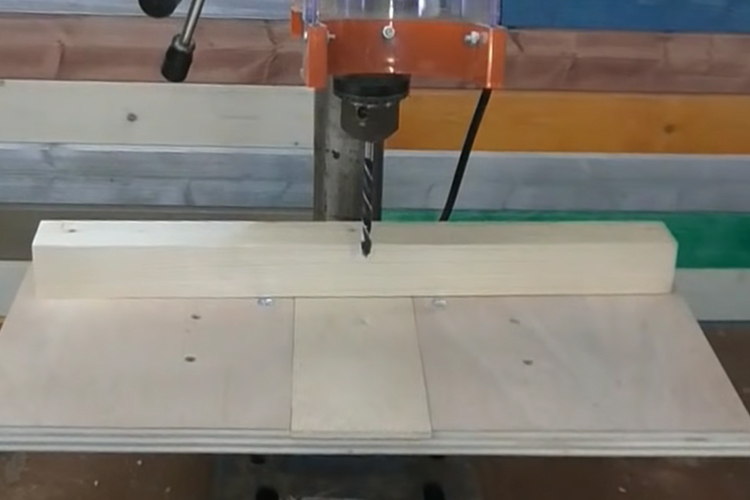 How Do Reciprocating Saws Work? When you turn on a reciprocating saw, the motor or battery will start moving a piston up and down, which pushes a clamp, attached to that piston. This clamp is the one holding the blade and is the one that will make the blade go back and forth. The efficiency of the blade of the reciprocating saw will depend mainly on the power of the motor or battery it uses. The more the power it has, the quicker and better the blade will work. Are you wondering what does a reciprocating saw do? Well, remember that this blade can cut whatever material you put in front of it because of the teeth it has. While its source of power is working, most metals, hard or soft, can barely stand a chance against these teeth. You can use a reciprocating saw for many tasks. You can use it at your home for remodeling. You can use it in your DIY projects that involve wood or metal – its blade will allow you to make cuts and notches easily. You could even use it for demolition or in the mechanical area. Is a Reciprocating Saw the Same as a Sawzall? A lot of confusion has been on the air surrounding a Sawzall and a reciprocating saw. Many believe they are the same while many think otherwise. So, there is no better chance than now to solve this mystery: is a reciprocating saw the same as a Sawzall? Sawzall is a name usually given to all reciprocating saws, but it is just a brand of reciprocating saws registered through Milwaukee Tool. If you go to Milwaukee Tool’s website, you will be able to see the variety of Sawzall reciprocating saw models you could buy. The first Sawzall was invented in 1951, and since then the tool itself has been widely known by that name. Even though today, when there are many other brands such as DeWalt – one of the favorites in the market – you might still hear the term “Sawzall” being used to refer to a general reciprocating saw. Reciprocating saws are wonderful tools that can cover a broad spectrum of tasks. The powers of their blades and motors and batteries have been hard to match, just as their efficiency. Now that you have solved the doubt, you will be able to use it better in your job, and your DIY projects at home.